How can we build 40,000 homes in London a year? Building 40,000 Homes a Year ? 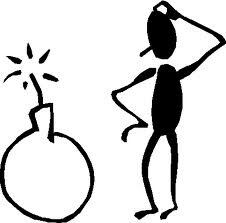 Keynote conference to find a solution to London’s Residential time bomb. The Mayor of London, Boris Johnson, has recently reiterated his call for urgent action to help meet the increasing demand for housing and has pledged to: “increase the number of homes being built in London every year”. But how do we meet this objective? 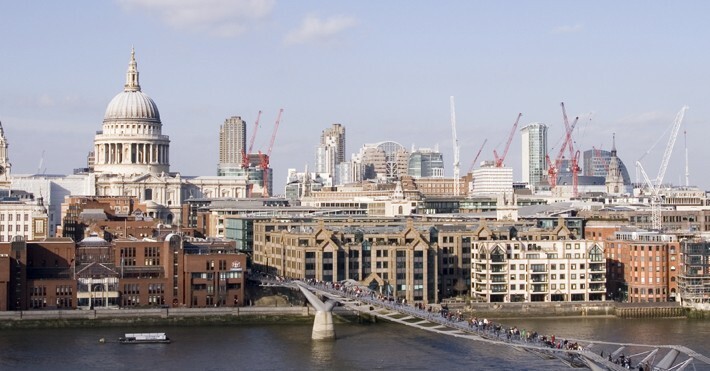 It is predicted that at least 40,000 additional homes need to be built every year in London by 2030. Without these homes, Londoners who work in the city will find it increasingly difficult to be able to afford to live and London’s ability to grow will reduce. Mindful of finding alternative ways of tackling the capital’s housing challenge the London Property Forum (enabled by UK Property Forums) in partnership with the Mayor of London has created a half day conference and ideas lab on 4th February 2014 to spearhead innovation and inject some new energy into the debate. The event will include key note speakers setting the conference themes of the planning and infrastructure challenges, modern methods of construction, finance and land and design. This will be followed by an ‘Ideas Lab’ where delegates are encouraged to put forward ideas that they feel would make a difference in 2014. Finally, the London Dragons will decide which pitched ideas should be taken forward and developed. The morning will end with with some tours of completed schemes in London which reflect the Mayor of London’s aspirations but also show how some London Boroughs are now solving their housing shortages. A unique morning event created in partnership with the Mayor of London’s office and those tasked with finding a solution to the housing crisis facing London. This will be a unique opportunity to meet many of the key people driving the London residential market looking for solutions to the issue of delivering 40,000 homes for London a year. Taking place in The Grain Store Restaurant at King’s Cross, this will be an opportunity to hear about new schemes in a ‘Dragons Den’ style with four key players who all have the capacity to make or break the schemes presented. Contact info@ukpropertyforums.com for more information or click here to book. Following ‘scene setting’ presentations from Richard Blakeway, Deputy Mayor for Housing and Yolande Barnes, Director Residential Research, Savills, and Sarah Elliott Principal Design and Planning AECOM, we will be inviting delegates to put forward their own ‘broad brush’ ideas in the Ideas Lab and under the heading “this could make a difference in 2014” . This will be followed by The London Residential Dragons when teams will be given the opportunity to pitch solutions to housing demand with a chance of securing funding from one of our Residential Dragons who include Julian Barwick, Development Securities; Robert Evans, Argent; Alastair Baird, Barratt London; Cllr Andrew Johnson, LB Hammersmith & Fulham and the Editor of Estates Gazette Damian Wild. How will the conference run, what will delegates expect to happen as the morning progresses and what will be the out takes from the whole event for delegates. Using the brief set by the Greater London Authority and working in partnership with the Mayor of London’s office, we have invited four key figures from the residential sector to set the scene for the audience. In 5 minutes, they will provide snapshots of what they believe are the three key issues within their chosen scene setter. All of the speakers are leading figures from the residential sector working across London, UK and Global markets. Using the forum format, we will engage with the delegates and invited audience to generate new ideas and thoughts about how we can build more housing in London and avoid the housing time bomb from exploding. It will be a fast moving and real time experience involving engagement and a little perspiration from the audience. The London Dragons will be challenged with the question; what are you looking for in terms of innovation – i.e. where do you want to see new ideas? Where is there potential for stretch? What are you willing to offer in terms of money/ land to support innovation? i.e. what is on the table for winners?” A limited number of presentations will be made to the Dragons, which will be reviewed and presented in a fast and furious format, but remember, all of the Dragons are serious and are looking for new ideas to promote and encourage. Presentations by a small selection of successful projects which are currently being built and being developed in London with the support of the Mayor of London’s office. Also a chance to see the King’s Cross model and hear about Argent’s and others plans for the area with solutions for the rapid delivery of housing to meet London’s needs. This will be followed by a de brief of the morning presentations. 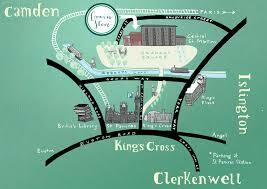 If arriving by foot from King’s Cross tube station allow 4 minutes walk time from the station. Do not buy coffee on the way as we will have better available on site!